This page is for documents containing relevant census info from UK, Scotland and locally. 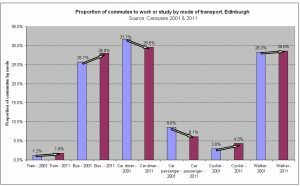 Edinburgh – Travel data – car ownership and travel to work/study summary [pdf 113k] and full report [pdf 5MB] by Edinburgh Council. 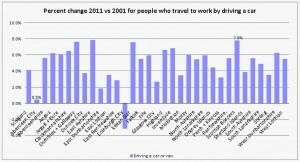 The figures are unique in Scotland – rising bus, cycle and walk commuting; falling car-commuting; rising car-free households – and help justify the Council’s Local Transport Strategy. 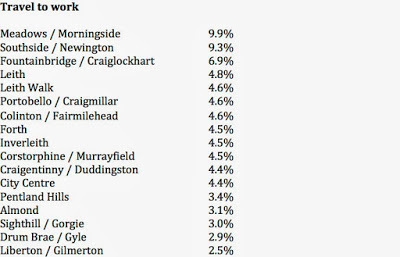 Edinburgh Council census web page – includes tables for city-wide, tables for local areas and tables for themes (including transport). England & Wales – Cycling to Work data [pdf 514k] Very detailed analysis by ONS. 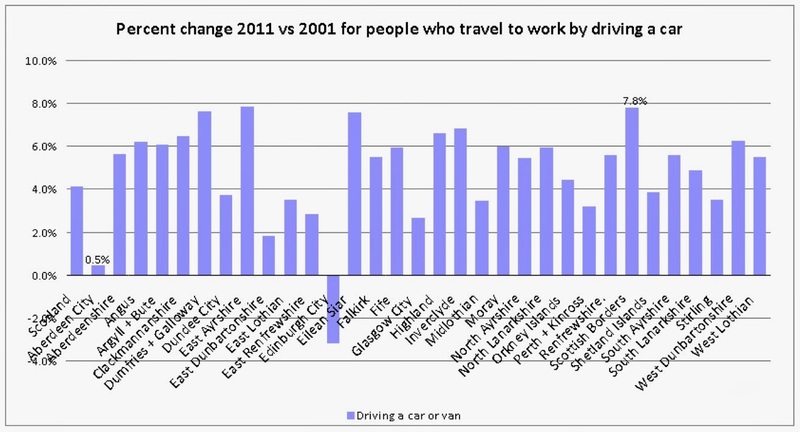 Basic message – cycling to work stayed static between the 2001 and 2011 censuses, but this masked substantial changes in some areas – generally up in urban and down in rural – a pattern which Spokes had previously identified in the 1981->1991->2001 censuses. Note this report  of a similar pattern in Denmark http://politiken.dk/indland/ECE2063886/vi-cykler-mindre—uden-for-storbyerne/ [use the Google translate button]. Speculation – this may reflect differential changes in land-use patterns and road conditions but may additionally be related to levels of cycling investment.